eq.gimasoft.com • View topic - Only allow a trigger once per "fight"
Only allow a trigger once per "fight"
Is there a way to prevent a trigger from reoccurring during a single fight? 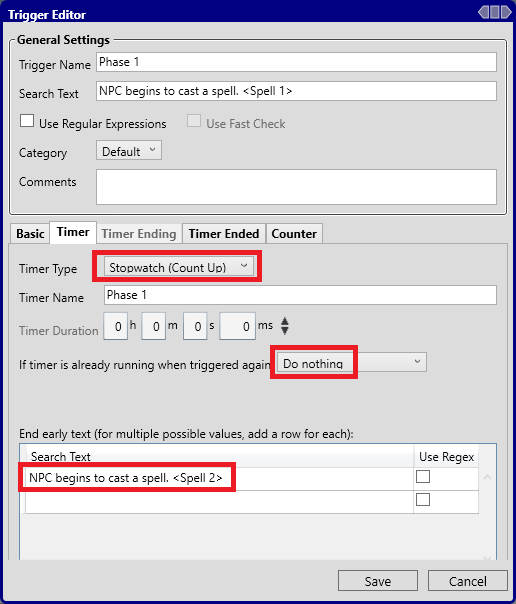 One example might be: NPC begins to cast <Spell 1> (Phase 1 has started), followed by many casts of <Spell 1>, until NPC begins to cast <Spell 2> (Phase 2 has started), followed by many casts of <Spell 2>, etc. Basically, I don't care that the NPC has cast this spell each time, I only care about it happening the first time. Re: Only allow a trigger once per "fight"